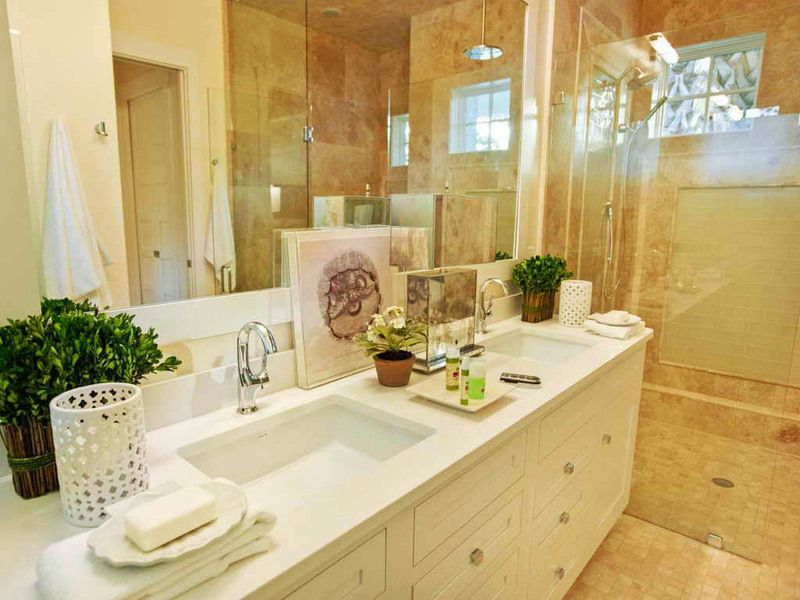 Home Bathroom Designs Beautiful Bathroom Counter Decor || Create the Most Beautiful One! 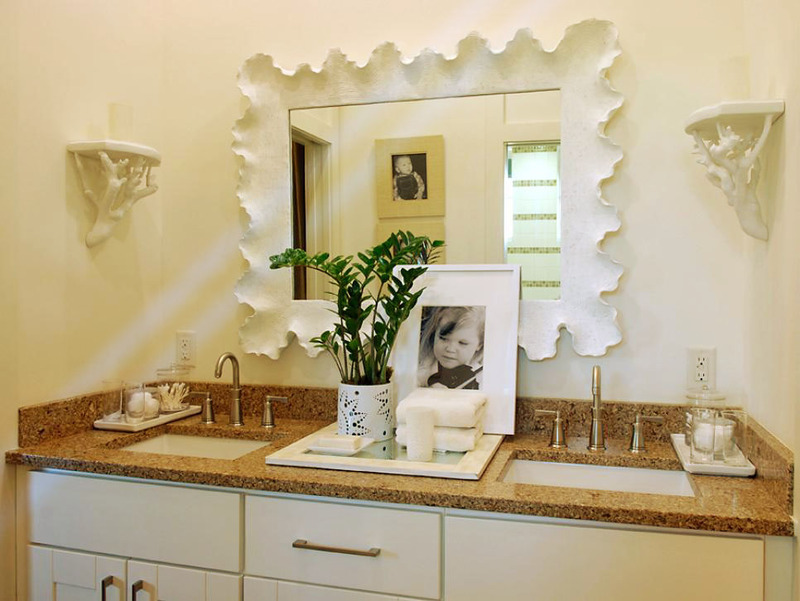 Beautiful Bathroom Counter Decor || Create the Most Beautiful One! 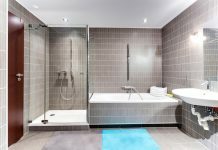 For everyone who confused to design their own bathroom counter, we can help you to overcome that problem. 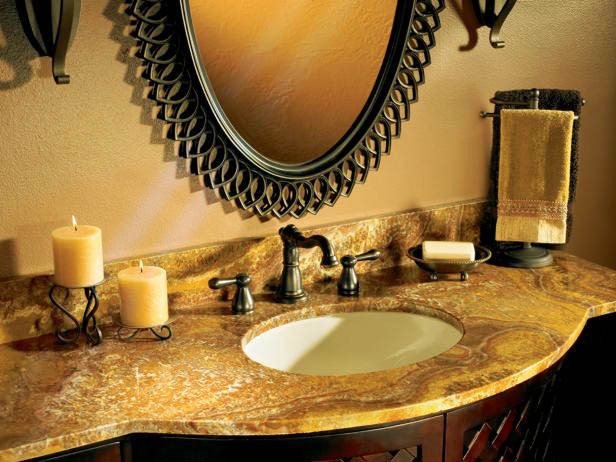 We already found a list of beautiful bathroom counter decor to help you. 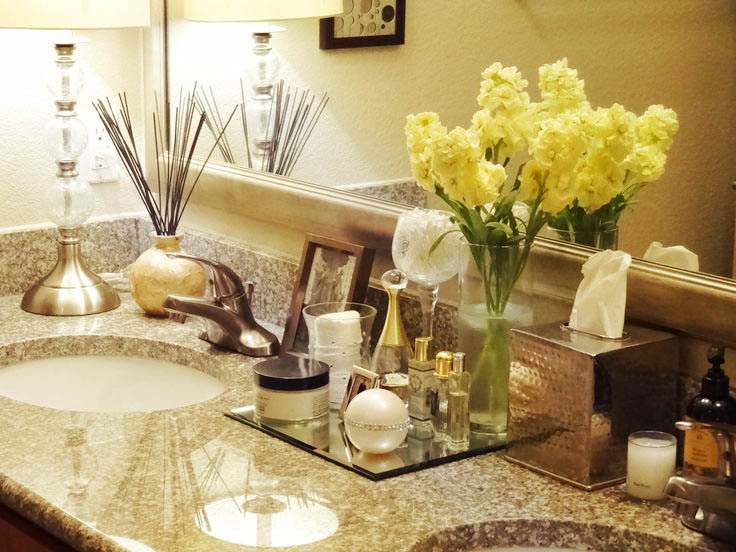 We are sure everyone wants to have an awesome bathroom counter. That is why do not need to confuse anymore. Now, let us transform your old counter into a new one. The beautifulness in the first decor without a doubt is the yellow flower which places on the room. It will make your days fresh. All the stuff is placed nicely. It will not disturb the activity for sure. For the addition, we can put a photo and light bulb for decoration purpose. For the tissue, we can put it inside the box rather than attach to the wall. The tile uses a mosaic design. It is a normal design for the bathroom counter. The simple design but it can show the awesomeness. The first thing which makes this one beautiful is the lamp. It is a night lamp which usually put in inside the bedroom, not a bathroom. The designer really puts their creativity in it. As the result, the decoration is not really bad as we think. The tiles use a white color to support the whole room. For you who like simple decor and do not want to add anything spectacular, this is the best one indeed. A grass decor in a bathroom is something new we do not see everyday. In the middle, we can see a flower pot to increase the beautifulness of the room. We can place a plate to put our things on it to make the room clean. 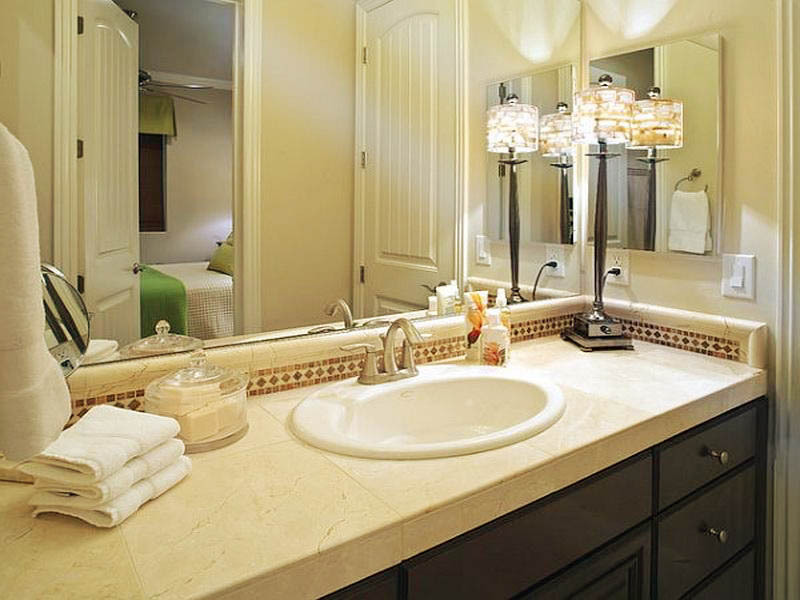 For you who have two sinks, we recommend following the decoration above to make your bathroom decor looks nice. Even though it looks simple, it can attract a lot of people to design it like that. What makes this one looks gorgeous is the circle mirror. It is really something, especially the decoration on it. For the counter, we can see two medium candles. We do not know why the designer put two candles. If it is for decoration, we think it is a great idea to make the room livelier. We can also put the soap on the mini-plate to show the uniqueness. If the big mirror above the counter not enough for you, place a small mirror like the picture above. 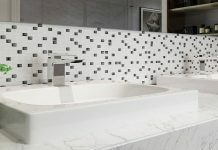 As for the last touch, the designer, use unique tile colors for the bathroom counter. 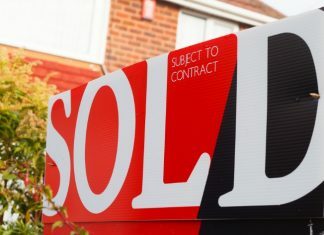 For people who do not like to put an excessive decoration on their counter, the picture above may help them. There is only one thing we can do to make it beautiful, just put a flower on it. 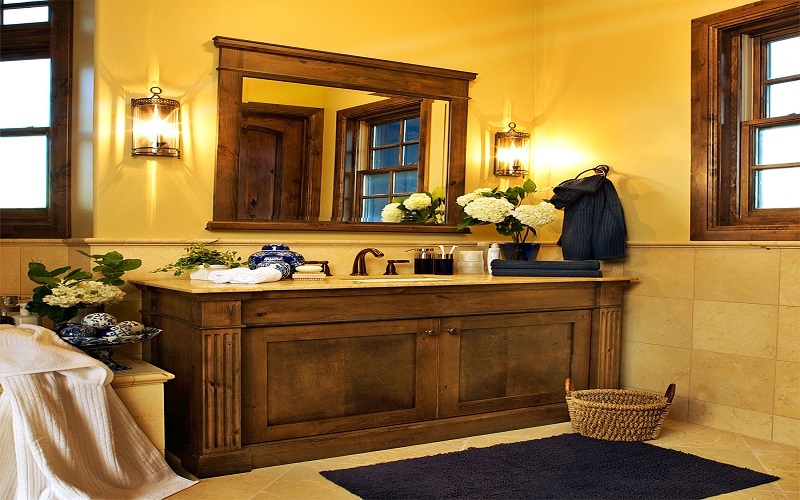 It is enough to show the gorgeous side of the bathroom. The next one is about the tiles. It uses brown colors, it looks exactly like the room. For you who do not know, this is an important aspect to support the whole room. We are sure you know it is really weird if you use a different color for the tiles. The next bathroom decoration is quite something. We can see two statue figure attach to the wall. It is to show to luxurious feel in the room. Like always an artificial plant décor becomes a favorite thing in the bathroom. We can put a picture in the room too. If you confused which picture is the best one, how about a picture of your family? We are sure it fits perfectly. The last one is tile decoration use a mosaic one. For the last one, we have a special decoration for you who do not have a big bathroom counter decor. 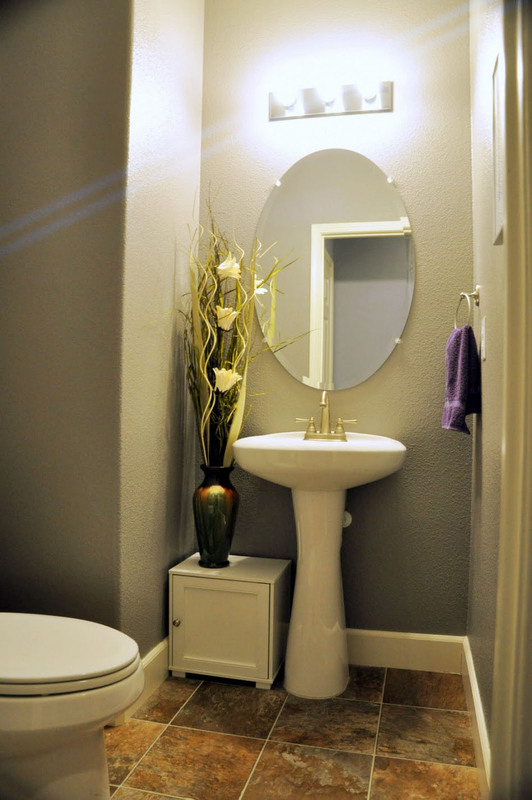 In order to take advantages of the small space, we can put a slim vase to fit the room perfectly. 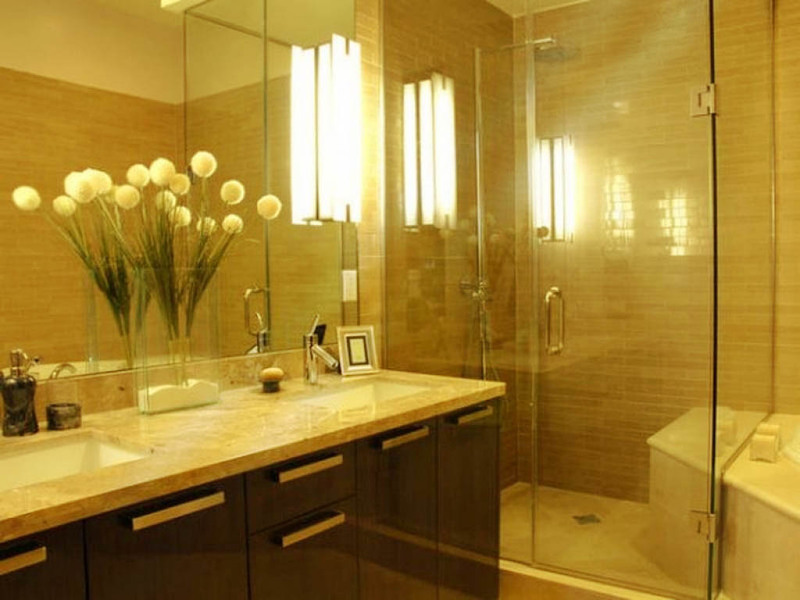 Also, we can choose oval mirror rather than square one to save some space. We know there is not much decoration we can put on the small room. But the picture above shows even though it only has a flower, it can show the beautiful side of the room. That is all about bathroom counter decor. We are sure the references above inspire you to decorate the best one. You can also mix and match the decoration to create the most awesome one. 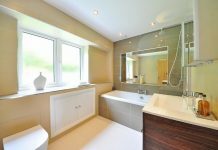 Before we forgot, if you interested to change your bathroom also, we have a great design which might help you. 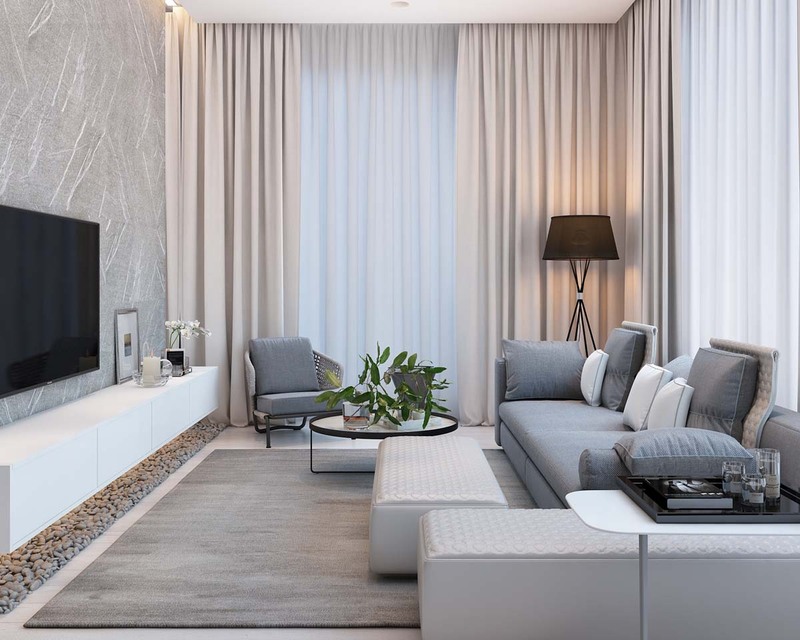 Previous articleAwesome Apartment Interior Design Ideas || See the Stunning Design Immediately! Next articleHow to Choose a Lingerie Chest For Your Bedroom? We have the Simple Guide Which You Can Follow!